Barely 48 hours to the February 16 Presidential and National Assembly elections, the Independent National Electoral Commission (INEC) has said that 3,659,996 residents have collected their PVCs ahead of the Saturday’s election. Alhaji Kaugama Abdullahi, INEC Resident Electoral Commissioner (REC) for Kaduna state, released the figure to the News Agency of Nigeria (NAN) on Thursday, February 14, in Kaduna. “This is because they failed to turn up for their PVCs before the close of the last deadline of February 11, as set by the commission,"’ Abdullahi said. Data obtained by NAN from the Information and Communication Unit of the Commission, indicated that, 3,904,088 residents had registered during the voter registration exercise. However, 3,659,996 residents collected their Permanent Voter Cards (PVCs), leaving a balance of 244,092 uncollected from across the state. It would be recalled that the commission had fixed Friday, February 8, as the last date for those who did not collect their PVCs to do so. The date was later extended to Monday, February 11, yet over 244,000 PVCs were not collected by their owners. Recall that Legit.ng earlier reported that the INEC may have extended the deadline for the collection of PVCs. The need to extend the collection of PVC as against the Friday, February 8 deadline may not have been unconnected to the fact that the Academic Staff Union of Universities recently called off their strike action. 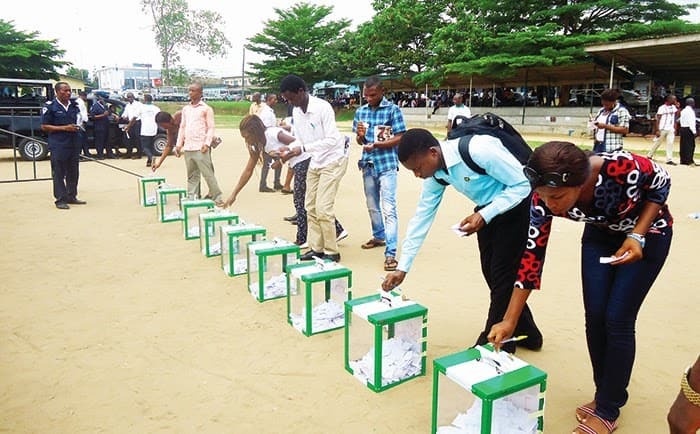 The union took to their official page last night, Thursday, February 7, to appeal to the electoral commission that students of Nigerian universities be given more time to collect their PVCs as they were just about to resume.